In 410AD the Goths of the east sacked Rome and troops were permanently withdrawn from Britain to defend the collapsing empire. Britons were left at the mercy of the invading Anglo-Saxons. 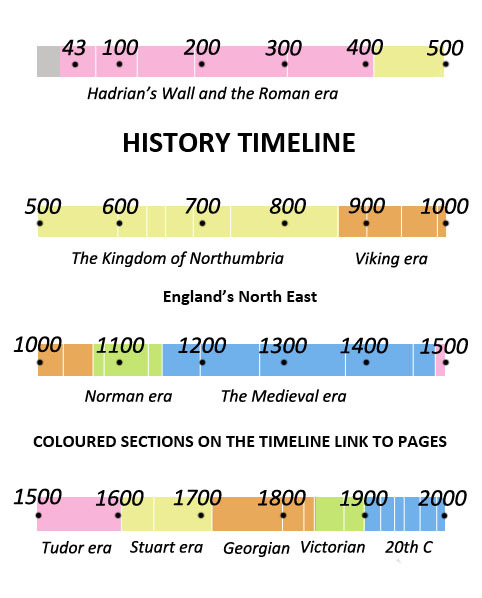 From 430AD to 600AD Saxons from Germany colonised the south of England while Angles or Anglians from southern Denmark colonised the north and east. Despite the Roman departure, Newcastle is still known by its Roman name of Pons Aelius - pons means bridge and Aelius is the family name of the Emperor Hadrian who built the Wall. Angles from southern Denmark are colonising land in the Yorkshire Wolds. They are also settling around the Rivers Tyne, Wear and Tees. In southern England settlement of Saxons is taking place. The legendary King Arthur is said to have died while fighting for the Britons against the Anglo-Saxons, probably somewhere near Hadrian's Wall and possibly Birdoswald in Cumbria. The Ancient coastal stronghold of Din Guaire (or Din Guayroi) (Bamburgh) has been captured by an Angle chief called Ida the Flamebearer. He is reputedly a descendant of the god Woden. 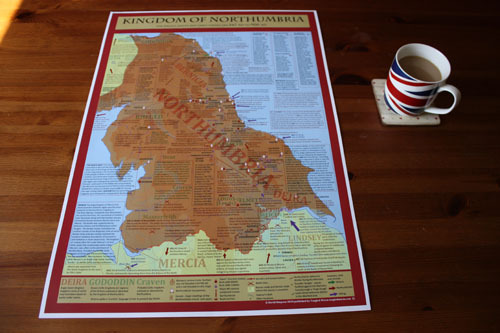 Bamburgh has been added to Ida's expanding Kingdom of Bernicia. Din Guaire (or Din Guayroi), romantically linked with the legendary Joyous Guard fortress of Sir Lancelot will become Ida's capital. Ida the Flamebearer has become an over king of the North following a conquest of neighbouring territories including land south of the Tees. Ida the Flamebearer has died. He has been succeeded by his son Theodoric. Aelle, an Anglian chief, is conducting his people against the native Britons in Deira (The Yorkshire Wolds). Aelle is the first king of Deira. A monastery has been established by St Columba, on the island of Iona off the Caledonian coast. It will become one of the most important centres of Christianity in Northern Britain. Urien, the leader of the British kingdom of Rheged (Cumbria), has besieged King Theodoric of Bernicia on the island of Lindisfarne. The siege lasts three days. 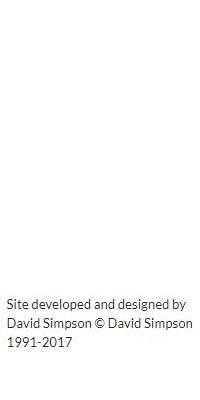 Aelle the first King of Deira (Yorkshire) has died. His successor is not known. 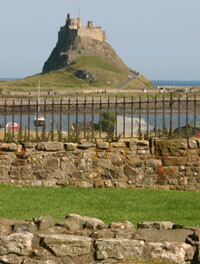 Urien the leader of the northern Britons has been murdered on Lindisfarne fighting against the Anglo-Saxons. He was betrayed by Morgan, a leader of the Goddodin tribe from Edinburgh. 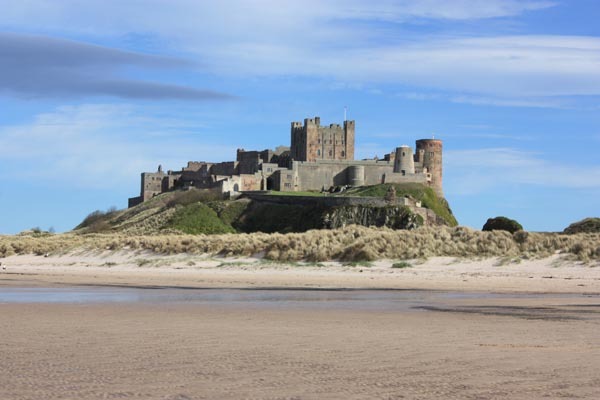 Aethelfrith, grandson of Ida the Flamebearer, has become King of Bernicia in the North-East.